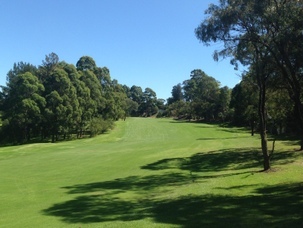 Index 1 for men, this tough par 4 completes a demanding finish to the Asquith layout. A strong drive is essential here if the player is to get anywhere near the green in two hits. The tee shot must avoid out of bounds right with thick trees and a hazard left. The long second is fraught with danger as well, with trouble all the way to the green on the right and a deep bunker and trees on the left. A stern test indeed, this hole is played as a par 5 for the ladies.